When gemologists talk about the ‘clarity’ of a gemstone such as a diamond, they are typically referring to two different things: blemishes, which are defects on the surface of the stone, and inclusions, which are internal defects. Inclusions are materials that are trapped inside minerals while they are forming, so that they are permanently enclosed. Hutton’s law of inclusions states that these trapped inclusion fragments are older than the rock they are contained within. What materials can be trapped inside a gemstone? In theory, pretty much any material can become an inclusion. Inclusions are commonly gas air pockets may form inclusions. Sometimes they are even filled with liquid, like water or petroleum. In these cases, they are known as fluid inclusions. Other rocks and minerals can be trapped inside of host rocks and become solid inclusions. Then there are melt inclusions; these occur when a lava flow picks up a rock which has already been formed. Exposure to high temperatures can cause melt to drip into the host rock and become trapped inside as the rock solidifies around them. Even living organisms can become inclusions if they become trapped inside a gemstone. Amber is not a true mineral, but rather a resinous mineraloid. Amber is an organic substance, formed as tree sap solidifies over millions of years. Sometimes insects or bits of plant matter can become trapped in the sticky sap. They perish, and the amber solidifies around them, trapping them permanently inside, preserving their form and sometimes even their DNA. 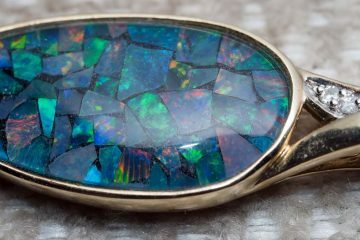 Inclusions are not always considered a factor affecting the value of a stone, and in some cases, they even may increase the value of the stone (as is the case for amber, as discussed above; amber containing an insect or plant fragment is far more valuable than amber with no inclusions). Stones are categorized according to how many inclusions can be expected in them, first and foremost. The three categories are Types I, II, and III. Type I stones are expected to have few or no inclusions. Examples include aquamarines, topaz, and zircon. 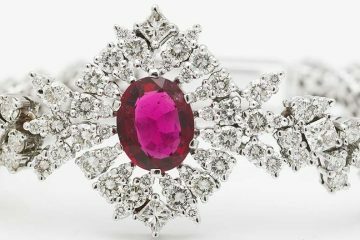 Type II gemstones are expected to have few inclusions, such as sapphire, ruby (which is just sapphire with chromium impurities), garnet and spinel. Type III stones generally have inclusions in them which are unavoidable. Emeralds and tourmaline fall under this category. In the case of Type III gemstones, and even Type II gemstones, the presence or absence of inclusions may have no impact on the value of the gemstone. With a diamond and most other gemstones, inclusions will almost always have an adverse effect on value. Diamonds are rated on a scale for clarity, with inclusion-free diamonds generally being the most highly valued. What are some gemstones other than amber which increase in value with the presence of inclusions? Star sapphires are one excellent example. The ‘star’ effect actually comes from inclusions, generally containing rutile, which is a mineral made up largely of titanium dioxide. There are also star rubies, which are red stones with a similar effect. The more inclusions are present, the more spokes the star may have. Sometimes star sapphires and rubies contain up to a dozen spokes. These may be particularly valuable. The more easily visible the star is and the more intense the effect, the higher the price will be for a star sapphire. Another type of gemstone that is famous for its inclusions is the Herkimer diamond. 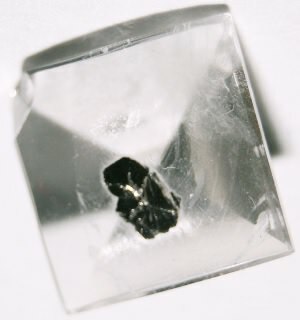 This gemstone’s name is a misnomer since it is not actually a diamond at all, but rather a particular type of quartz crystal with a double terminated structure. Diamond is made up of carbon, whereas the Herkimer diamond is made up of a silicate mineral. Originally it was discovered around Middleville and Little Falls in Herkimer County, New York in the 18th century, thus the ‘Herkimer’ name (and likely the mistaken identity concerning the gemstone’s chemical composition). In the past it was also known as the Little Falls diamond or Middleville diamond. These quartz ‘diamonds’ may be clear or cloudy, and there are even smoky quartz varieties. Their famous inclusions can take on a number of different formations. Phantom crystals and bridge crystals inside, fluid inclusions, skeletal crystals, and other formations are all common. 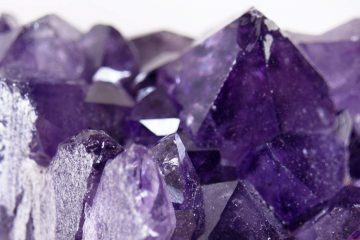 Because of their unusual appearance, they have cultivated a mysterious reputation, and are favored by occult and new age practitioners, who attribute supernatural qualities to the stones. If you are fascinated by geology or you know somebody who is, a Herkimer diamond, star sapphire, or amber with inclusions can be a wonderful stone to purchase for yourself or someone special in your life. 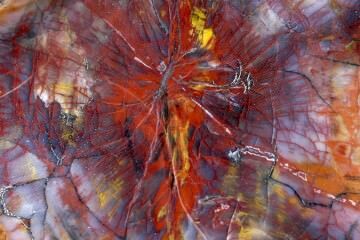 These gemstones may be less ‘perfect’ to look at, but they are often more interesting from a geological point of view, the inclusions they contain add character and history to the gemstone.